Dr. Julian completed her Bachelor of Science degree at UCLA and graduated from USC School of Dentistry in 1988. Dr. Julian practiced general dentistry in the Eastern and Northwestern regions of the US after finishing dental school. She has been in private practice in Fresno since 1998, and has significant experience in all aspects of dentistry. She excels at cosmetic dentistry and especially enjoys treating children and geriatric patients. 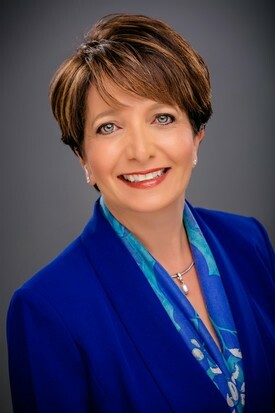 Dr. Julian has gained extensive knowledge of contemporary techniques by further training in cosmetic dentistry through the prestigious UCLA Aesthetic Continuum, the Dawson Center for the Advancement of Dentistry in Florida http://thedawsonacademy.com and the Frank Spear Education Continuum in Scottsdale http://Speareducation.com She combines over twenty years of experience along with the advanced training to deliver high quality dental care. Dr. Julian values relationships with her patients and their families and always strives for personalized, gentle and compassionate care. Dr. Julian is an active member of the American Dental Association, California Dental Association, and the Fresno Madera Dental Association. She offers philanthropic dental care and her time to the annual Save and Seal Our Smile, a program for disadvantaged children. Dr. Julian and her husband Robert Julian, a maxillofacial surgeon, have three children and are an integral part of the Fresno community with strong roots and family ties. Dr. Julian leads an active lifestyle, balancing family life and the rigorous demands of a successful dental practice.